Imran Khan can hold all the rallies he likes but at the moment he is not only unfit for being prime minister, he is downright dangerous for Pakistan. Balochistan! Balochistan only 2 years ago was on the brink of breaking up from Pakistan. BLA was everywhere and the Pakistani flag could not even be raised in the provincial parliament or high court. The Bank of Balaj was formed and a new currency was being printed, Azad Balochistana was an anthem I heard everywhere in the province. The people of Balochistan simply did not want to be with Pakistan. Then with some military intervention and the fact that the separatists chose Nawaz Sharif as the mediator, they finally agreed to return to Pakistan. The present ruling party NP of Balochistan came around because Nawaz Sharif was friends with Hasil Bazinjo. So for the first time in history Balochistan got a non-sardar as a CM and its development rates are the highest ever. This was made possible with a coalition govt with PkMap and PML N. PML N could have easily made the government in Balochistan but instead they chose to give away power so that nationalist and separatists would join Pakistan. Destabilizing the provincial or federal setup at this stage could very easily mean that people who the military and the rest of Pakistan pleaded to return into the folds of our nation would go away and work towards separating Balochistan again, this time with evidence that Pakistan is a failed state. Sindh. Ever wondered what the story of Zardari’s words ‘Pakistan Khappay’ is? Sindh has historically remained a separate and independent state and wasn’t ruled by the Mughals the way Punjab was. When Benazir Bhutto died the Sindhis took to the streets chanting ‘Pakistan Na Khappy’ (Pakistan unacceptable). This was their calling for their ancient homeland of Sindhudesh which is worked up by Sindhi Nationalists like G M Syed. Zardari at that stage said Pakistan Khappay (Pakistan acceptable) and saved the day by calming the Sindhis for which he was duly rewarded. Now these same nationalists who are also militants trust Nawaz Sharif and see him as an ally, the two most important ones being Qadir Magsi and Abdul Khaliq Junejo. Get rid of Nawaz and see what interior Sindh does then to break away. Unpopularity. Imran Khan is Pakistans most unpopular leader. This may sound strange because facebook strongly disagrees and as do most street surveys. But ask yourself this single question, which party would ever sit, cooperate and/or make an alliance with PTI now. PPP? PML N? MQM? NP? PKMAP? JUI? AWP? QWP? Is there any other leader who thinks of him even as a semi-sane man? Any other leader who trusts him? Knowing very well that he is much more unacceptable to other political forces than Nawaz Sharif, he still declares himself the Prime Minister over and over again. A prime minister is not a leader of a party, he is a leader of a country where all other political forces accept him and his leadership. Imran Khan is constantly struggling to keep PTI itself intact, let alone a country. His movement has no support from any other political party yet not even from his coalition partners Jamat e Islami. His movement and status as Prime Minister is not even endorsed by PAT who are staging the March with him. Constitution. This is the most important reason of all because Pakistan is one of the world’s few idealogical states. The people themselves don’t share history, language, ethnicity or culture and therefore don’t make up the usual composition of a nation. The only thing holding them together is a book called the constitution of Pakistan. This book of the consensus of all people is the reason why we are not a bunch of warring tribal states and instead make up a semblance of a country. This is the reason why the book is so sacred and for us is the second most important book after the Quran. Yet Imran Khan sees no problem in violating the constitution as and when he feels appropriate. The Prime Minister is a constitutional position, yet he feels it is ok to call himself Prime Minister. The prime minister has immunity, yet he thinks that the prime minister should be punished. The election commission is formed with the consent of everyone. Yet he says the entire election commission was a fraud. The election tribunals are the only constitutional forum of election dispute resolution with high courts for appeal, yet he disagrees. The list goes on and on. Other leaders have also violated the constitution time and again but this is no excuse for Imran to do the same. The constitution has given us a democratic system and courts for problems we have. Imran feels that neither the constitution nor the courts are solutions and only his coming to power will resolve issues. Hypocrisy. Elections in KPK were fair but everywhere else they were rigged. Where they won in Punjab the elections were fair, where they lost they were rigged. When cases were filed by PTI against in the election tribunals they got mixed results. Where they won the tribunals were fair, where they lost the tribunals were corrupt. Appeals have been made to high courts. He hasn’t dared to say so, but of course the PTI supporters now believe that the high courts too are brought out. Before elections Pildat, Gallup and Fafen did surveys that showed that Nawaz Sharif would win, they are corrupt. Facebook polls showed Imran Khan winning and therefore Facebook is honest. During elections EU monitoring teams stated elections were largely fair, but of course all of EU is corrupt. Geo reported Nawaz Sharif winning first and therefore they are corrupt too. Najam Sehti was the caretaker CM then and therefore he is also corrupt, but his chief secretary Javed Iqbal’s was praised by Khan therefore honest. From PML Q to Sheikh Rashid, from Shah Mehmood to Jhangir Tareen, whoever was against him was corrupt and whoever is with him now is honest. When ANP ruled KPK Imran khan had all of us go to KPK to stop NATO supplies in protest against drone attacks. Now that he has the province all NATO supply is perfectly well, drone attacks are fine and 35% of KPKs budget is foreign aid. Election rigging. PTI rigged the elections and broke the election laws. This is not to suggest that others didn’t but since PTI is the one crying hoarse about it, it is only fair that the first finger be pointed at them. The election laws impose a maximum limit of 15 lacs on any candidate for their election spending in total. This includes all spending on banners, hoardings, tv ads, rallies, food, transport etc. PTI without a doubt spent the most amongst the parties given their rallies, tv ad campaigns, public hoardings etc. Any PTI supporter who speaks truth would admit that his candidates spent more than 15 Lacs. In a fair system every PTI candidate would have been disqualified. Secondly the behavior of the supporters. Election laws forbid any person from in any manner disclosing what party the person supports or will vote for whilst standing in line to vote. This includes attire, party symbols and of course verbal silence. One look at the election coverage and it appears that every PTI voter decided to declare their never ending true love for the party. These voters were liable to be disqualified in a fair system but the ROs and agents (later after defeat, corrupt ROs and agents) ignored this and let them vote. These were ignored not out of choice but necessity because PTI is prone to violence. Today PTI holds their violation of law as evidence that they had supporters in the elections by pointing to the TV coverage. Rule of law. Isn’t a prime minister supposed to set examples of following the law. PTI supporters ask what other solutions were there if not taking to the streets and trying to overthrow a government. I can’t believe I’m writing this down but I suppose I must. The solution is to take the matters to court like civilized nations do and if courts are taking too long give applications for early hearings. If they are rejected they can be appealed. Instead of laying siege on our sacred institutions, the better idea is to spend energies on gathering evidence and presenting those to the public instead of making meaningless accusations. Correct thing would be to use those unlimited funds to educate the public with evidence. Where needed go into public interest litigation, some of the country’s largest corruption scandals were resolved when common people filed cases of public interest e.g Pakistan Steel Mills, NRO etc. PTI has never initiated a public cause in court but has on a few occasion joined in. Most importantly PTI has MNA’s, MPAs and they have the KPK assembly. They were voted in to legislate on issues and are being paid by the state to do this job. Have they proposed any new anti-corruption bills or election reform bills? If they had and the bills got rejected they would have a moral right to claim that they were on the right side which they don’t at the moment. What miraculous policy changes have we seen in the KPK assembly this last one year? International. Imran Khan is a media darling no doubt. He’s been a world cup champ and was used to the publicity he gets. Then there were the women in his life Zeenat aman, Sita White, Jemima etc who kept him as a talk of the town. 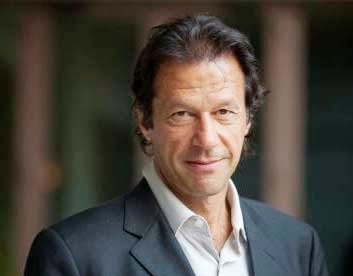 Everyone knows Imran Khan and he does enjoy the status of Pakistan’s most well known person internationally. But does he have any alliances? PPP had Bhutto who made OIC and had personal friendships with Shah Faisal and Qaddafi. PPP then due to its idealogy continued to have friendships in all socialist countries until recently. Nawaz Sharif is personal friends with leaders of some Arab countries and China. Nawaz Sharif is India’s choice because previously PML N had good ties with BJP and made progress in friendship. Even small parties like NP and AWP have international ties due to their leftist ideologies. Where does Imran Khan lie on the international plain? Which alliances has PTI made internationally so far? Even the UK, Khan’s second home is supporting Nawaz Sharif. Is there any other world leader who has shown interest in Imran Khan? This is important because Pakistan is a main player in the supposed great game. Presently China is investing heavily in Pakistan to make rail projects. Arabs are looking for military support from us. Can we risk destability of the government when there are countless wolves trying to eat us up. Is seeing a Pakistani on the cover of Vogue Magazine really all that we aspire for? Performance. PTI supporters bring up Shaukat Khanum as an indicator of his ability. This cancer hospital is no doubt very well run but what of his performance in KPK? During his government we saw unprecedented terrorism and world’s biggest ever jail break. No resignations were tendered by any PTI member. We saw an overall economic improvement but the growth rates remained lower than Punjab and Balochistan. We saw PTI give away the education ministry to JI after all his speeches on educational emergency. We saw the KPK assembly increase the perks and salaries of its members. What is worse is that we saw that throughout the year that the subject of PTI’s interest was not KPK, it was still Punjab. Taliban. This is one topic every PTI supporter dreads and rightly so. These TTP elements that khan sahib calls ‘misunderstood nationalists’ have brought Pakistan to its knees with suicide bombings everywhere. They have scarred us for life and ruined countless lives. Yet Khan did not condemn them once whilst they were busy wiping out the previous ruling party in KPK, ANP. During elections they openly threatened ANP and its voters but khan sahib only benefited out of it. They have openly targeted PPP but Khan Sahib sees nothing wrong with that either. When a kid (Aitezaz) stopped a terrorist from bombing a school by grappling him and dying in that attack, Khan sahib didn’t even bother visiting his funeral or family or even stating that he was brave. When war against them was imminent Khan sahib stood as a barrier calling it the worst mistake Pakistan would make, 2 days later he changed his mind and now fully supports it. But still the TTP request Imran Khan to be a mediator with Pakistan. Ideology. There is non and that’s the basic problem. I’ve been asking every PTI leader/supporter whom I know to tell me what the ideology of PTI is and I still don’t know. It is just reactionary politics. And that’s it. By promises of change which people so desperately needed, and by an almost vulgar spending on marketing themselves PTI has managed to give people the impression that there is no other option. The basic problem that leftists like me have with PTI is that it gave people hope. We know that a party without an ideology, action plan or agenda going around making tall claims like we will finish corruption in 90 days is bound to fail. Its ultimate failure will result in disillusionment of people from real change and a real revolution. Change can only come when leaders come from within the poor people. When leaders with their own children in England living in 300 kanal houses make parties that have as central leaders pirs, industrialists, feudal landlords, media barons, opportunistic turncoats etc we know that change will not come because the candidates of that party are a beneficiary of the corrupt system. The real threat is that people will lose hope and today’s Imran Khan supporting youth will turn to a real leader tomorrow and say ‘you talk of change, we tried change with Imran Khan and look where it led us.’ The real threat to the country is the fact that those who intend to bring true change will never get a chance and that’s more dangerous than anything I can think of.